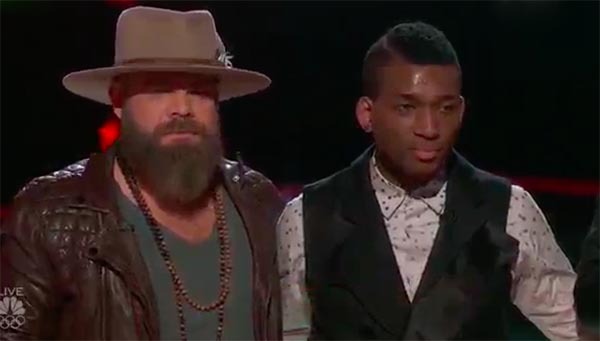 Jon Mero from Team Adam is the eliminated artist on The Voice Season 13 tonight. 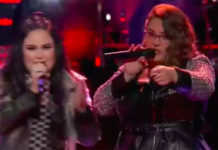 The results were revealed at the end of Tuesday’s live elimination episode, November 21, 2017. Jon Mero and Adam Cunningham, both the Team Adam, are in the bottom two after receiving the lowest number of votes from the public. Singing for survival, Jon sings “I Want You Back” by The Jackson 5 while Adam performs “Fortunate Son” by Creedence Clearwater Revival. The Final verdict is up to the public. 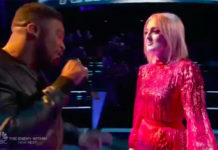 Show host Carson Daly revealed that Adam Cunningham wins the Instant Save on Twitter and Jon Mero is eliminated from the competition. 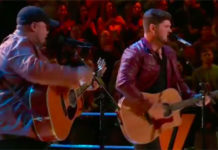 The Top 11 artists returning next week for the The Voice Live Shows are Addison Agen, Noah Mac, Chloe Kohanski, Brooke Simpson, Keisha Renee, Shi’Ann Jones, Janice Freeman, Davon Fleming, Ashland Craft, Red Marlow and Adam Cunningham. What do you think of the results? Write your opinion on the comment section below.